Happy Friday! It’s been a couple of weeks since I have done a Hollywood to Housewife! Since I was at the beach for a long weekend, I thought doing a little beach edition would be perfect! 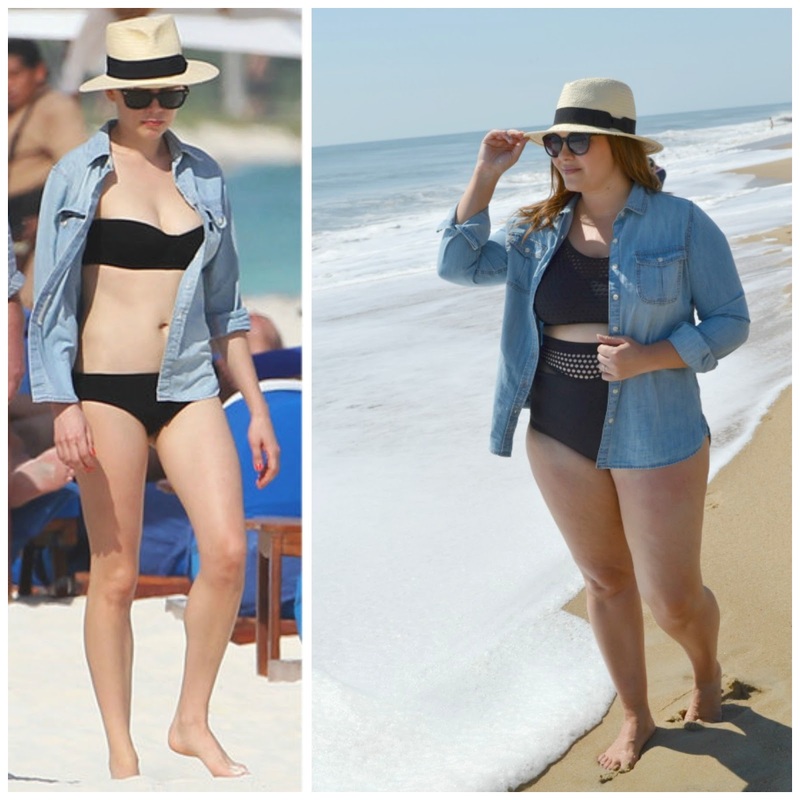 I love seeing how celebs do the whole beach look. The only thing I can’t get on board with celeb style wise is wearing all.the.accessories. I just can’t comfortably be at the pool, or at the beach, dripping in bracelets, and necklaces, and body chains. Nope. Can’t do it. How do they even do it? Don’t they get sweaty? Don’t they get sand here there and everywhere? Nope. Probably not, because they are celebs, am I right?! What I loved about Michelle Williams’ style was that it was so minimal. I wouldn’t have to fuss about this or that-I could just be. Plus, any chance I get to wear a chambray and my trusty Panama Hat, I’m in! The suit I am wearing has since sold out, but I’ve linked a bunch of other great options, including one piece options as well!